Online poker is legal in New Zealand and generally players do not have to pay taxes on their winnings. There are some reports of players who have been required to pay taxes when their poker-playing status was determined to be professional and their winnings their primary source of income. If you're concerned that this may apply to you, consult a tax consultant. It's better to be safe than sorry. 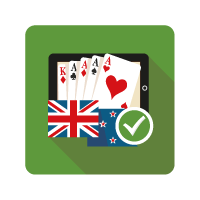 When it comes to online poker, sites are legally allowed to operate in New Zealand and all public gambling operations are expected to return a portion of profits back to the community. The Gambling Act of 2003 makes it illegal for any business other than the TAB and the New Zealand Lotteries Commission to operate remote interactive gambling in New Zealand. At the same time, the Gambling act of 2003 pertains only to providers. It is not illegal for a New Zealander to gamble over the Internet with providers based in other countries, but it should be noted that if any part of the gaming is conducted in New Zealand (aside from the end user), it could be prohibited by the Gambling Act and be considered illegal gaming. All gaming is controlled and licensed by the Department of Internal Affairs who maintains strict guidelines for the allowed classes of gambling. Operating outside of these guidelines is prohibited. The classes are determined by the prize values and the methods of gaming. Class 1 gambling is restricted from prize or turnover greater than $500. All proceeds from the gambling (including interest), if conducted by an individual, must be applied to the winners. Only Class 1 gambling can be conducted by individuals. Class 2 gambling must have prizes with a total value between $500 and $5,000. The potential turnover from the gambling must exceed $500 but cannot exceed $25,000. This class of gambling does not require a license but it must be conducted by societies as defined in the Gambling Act. Class 3 gambling must have prizes with a total value exceeding $5,000. Class 4 gambling usually refers to gambling that utilises gaming machines. It is prohibited for classes 3 and 4 gambling to be conducted without a license. New Zealand residents are free to play in any online casino based in any country and have the option of the very best online casinos. Prior to the government of New Zealand passing the Gambling Act of 2003, many of the existing gaming laws dealt only with traditional gambling activities including horse racing, lotteries, and pokies, but did not specifically address online or remote gaming. An organization based in New Zealand that was marketing its services to players in New Zealand would have been breaking the law unless they were part of the TAB/NZ racing board. Internet gaming sites based outside NZ drawing players from inside New Zealand were not directly addressed. At that time gaming in New Zealand was governed by three statutes: The Gaming and Lotteries Act 1977 ("GLA"), the Casino Control Act 1990 and the Racing Act 1971 ("Racing Act"). Their common theme was any gaming that did not contribute a community benefit was banned. Because online, interactive, and telephone gaming was not addressed, anytime you participated in one of these activities you may have been breaking the law. This was punishable by either fines up to $500 or imprisonment. Simply running a business that offered advice on where and how to place bets could leave you open to prosecution. Being in New Zealand and accessing any of these services with an overseas online casino, you could be gaming illegally and be penalized with fines. When online poker gained popularity and established itself in the gaming arena, the New Zealand Government published "Gaming Reform in New Zealand: Towards the New Legislative Framework," a paper that reviewed interest and consequences of gaming. Its focus was on the effect of gambling on society. At this time they also looked at potential issues from online overseas gaming. The authors and administrators understood the nature of the Internet and how unlikely it was that they could reasonably control New Zealanders' interested and participation in overseas gaming. Privacy issues and cost could be prohibitive. A policy had to be established. If options inside New Zealand were too strict, interested players could be encouraged to look across the border and the monetary donations given back to the community would suffer. Gambling Amendment No.2 was recently passed by New Zealand Parliament after being introduced in 2007. The goal of this amendment is simply to reinforce the current Gambling Act of 2003 and bring additional accountability to owners and operators of non-casino pokies and other gambling establishments and gaming machines. Several rounds of revisions have created a document that resolved weak points in the previous legislation. It ensures that all licensed providers will be completely responsible for following the rules and maintaining clear records of their performance and compliance with the laws. First, the new law will reclassify live-action gaming that takes place in an establishment, but outside of a casino under Class 4 regulations. Under this classification, applications for all Class 4 providers will undergo more rigid guidelines prior to licenses being issued. A key determining factor will be the intended distribution of the funds. Grants issued must be used according to the stated intent. If those guidelines are not followed or if the funds are misappropriated, the operator will be charged with an offence. Compliance is mandatory. Should it be necessary, the new pokies law has empowered the Secretary for Internal Affairs with the ability to suspend or withdraw a license for violations of the Gambling Act. At this time, the licenses can be suspended or withdrawn for previous violations as well. In the interest of social responsibility, the amendment will assign responsibility for assisting problem gamblers to the location (casinos or Class 4 operators) where the gambling problem is observed. The operator, when a potential problem is identified, will be tasked with the obligation of approaching the person and providing information. The operator does not have the option of not stepping forward again if the problem persists or if concern continues. He must again address the individual. Another point toward social responsibility is the requirement that the funds being distributed back to the community are properly accounted for and actually get to where they were promised to go. The gambling business provides large sums of money for local communities and it's incredibly important that the designated funds get to where they will do the most good. To date the gambling industry has become an invaluable contributor to the communities in which they operate. Several agencies are utilised to monitor this legislation. They include The Department of Internal Affairs, The Ministry of Health, and The Gambling Commission. The Department of Internal Affairs administers and ensures compliance with all legislation and issues licenses for gambling establishments and activities. Casinos are handled by a different agency. The Ministry of Health works with problem gambling services. This agency has recently finalised its Preventing and Minimising Gambling Harm, three-year Service Plan 2011-2013, and its six-year Strategic Plan 2011-2016 and ensures funding and coordination of other services. The Gambling Commission works with casinos and their licenses and agreements. They handle complaints and appeals against decisions made by the Department of Internal Affairs.